From Nice (in France), drive the autostrada along the coast into Italy, ie. Hwy. E-80/A-10 to Imperia, from there follow SS28 north. 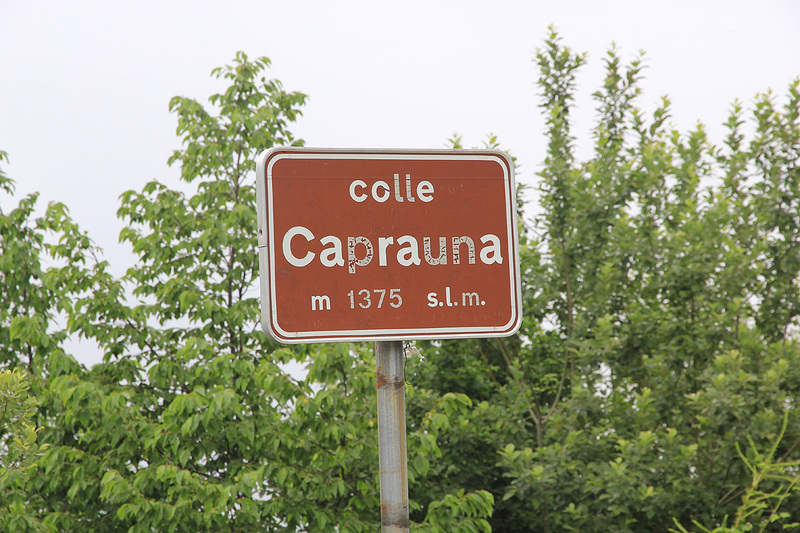 Stay on this road for about 39.5 kilometer to the town of Cantarana, locate the road SP216 going right at this location, N44:07.241, E007:53.536, elevation about 795 meter. 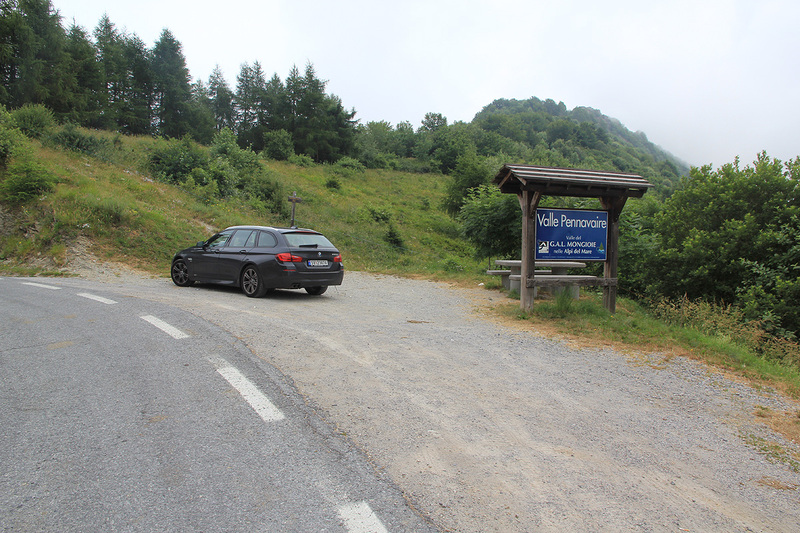 Continue uphill another 8.3 kilometer and locate parking on your right just in the col. This is the trailhead, location N44:06.484, E007:55.774, elevation about 1380 meter. From the trailhead, cross the road and start up the signed trail. This trail climbs along a pretty broad ridge through forest. You pass an antenna (reflector) on your left just before the terrain levels more off. 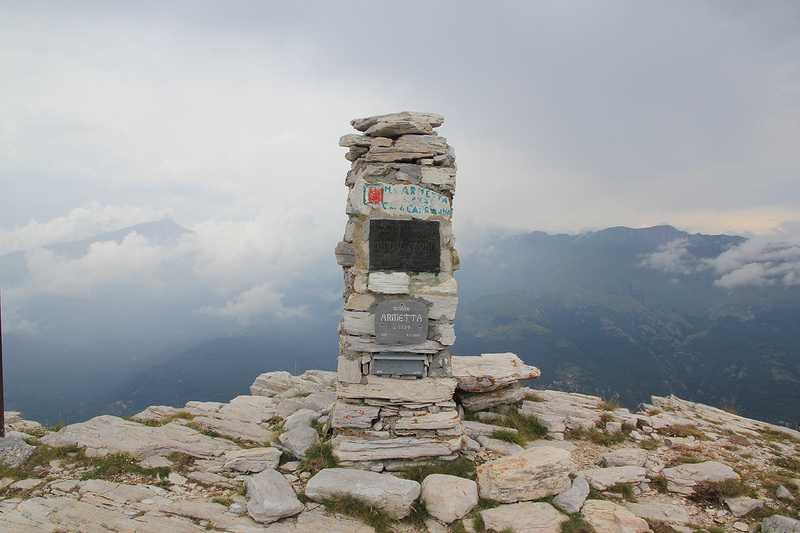 The trail now runs on the right hand side of the crest, bypassing a subsidiary peak, Mont della Guardia, on the way. There is an old sign and a small trail forking left to this peak. It is an easy extra visit, perhaps best on your return trip. Its prominence is about 93 meter, so almost an independent mountain. 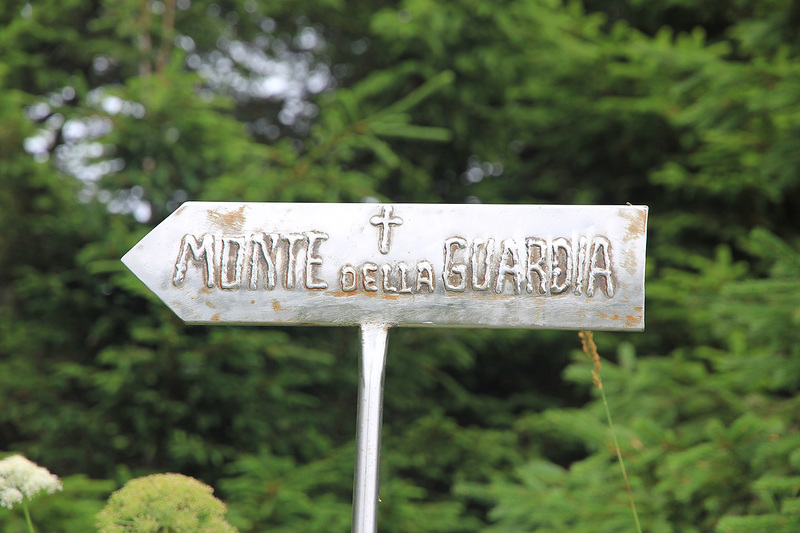 the trail gradually descends a little to reach the main col between Mont della Guardia and Mont Armetta. 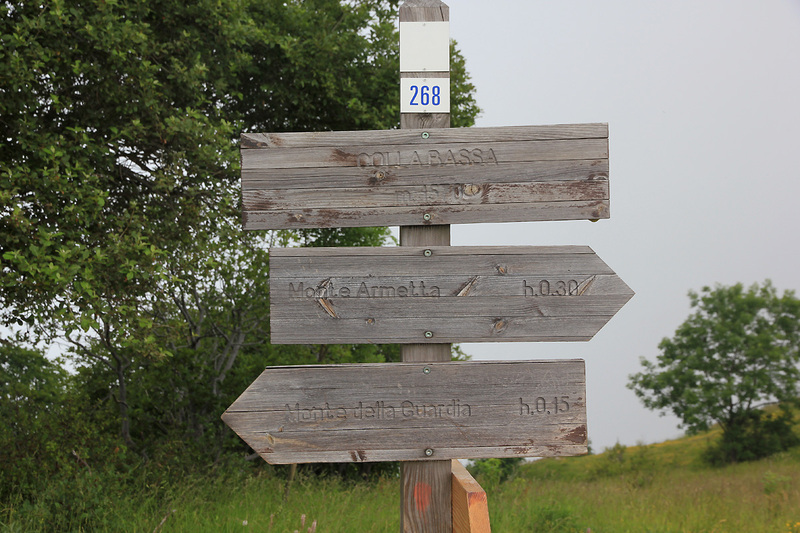 There is a large pole with trail information (signs) here, location N44:07.549, E007:56.050, elevation about 1562 meter. 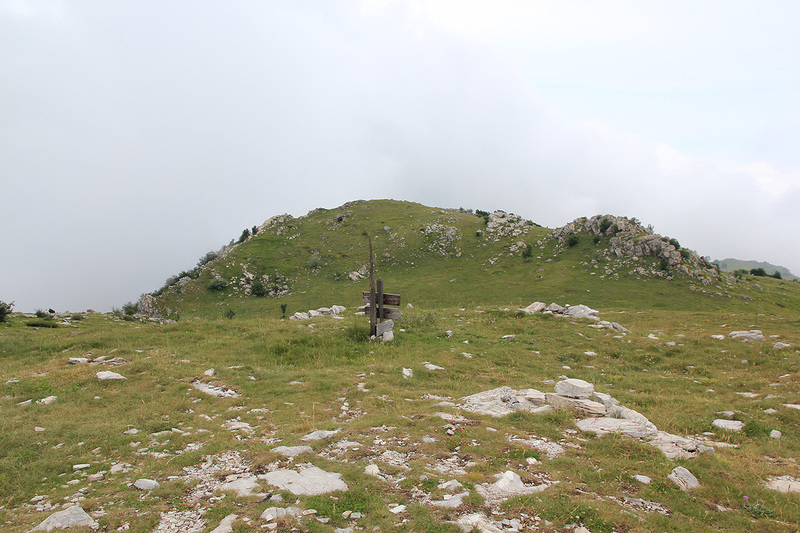 From here, the route again climbs gently through nice grassy pastures, reaching the summit with a good view down to the village of Ormea. We were on our way from France, where we had visited Vibeke and Per, to the island of Elba. However, a small detour into this nice area was definitely worthwhile. 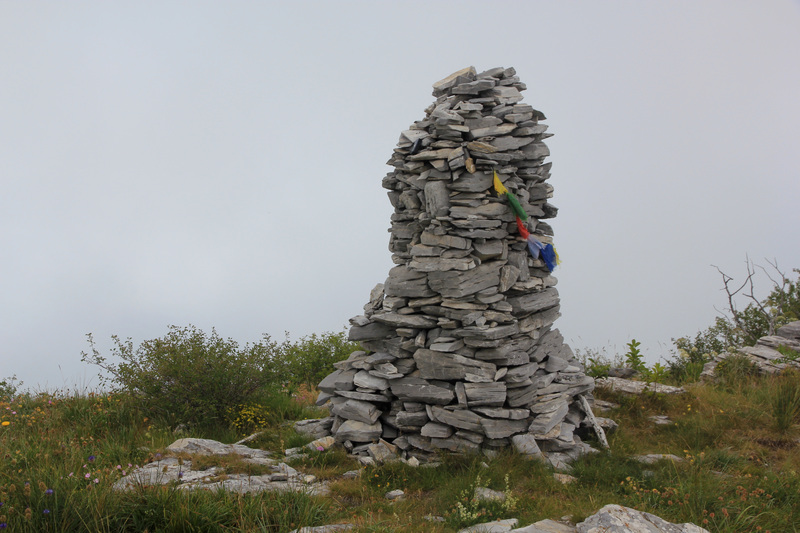 We started out at 1345 and after a nice hike along a good trail, arrived at the summit after 50 minutes. 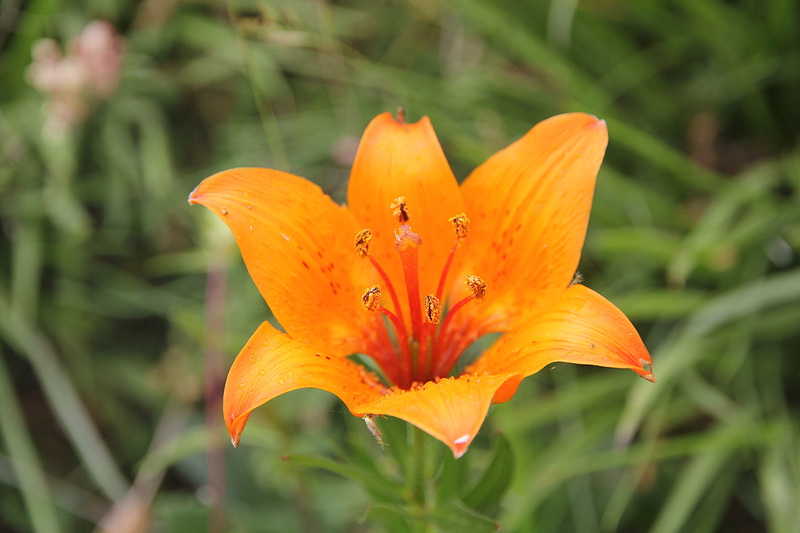 Above the treeline, this mountain has nice gras and numerous colorful flowers. A 10 minute break for enjoying the good views, then heading back down. 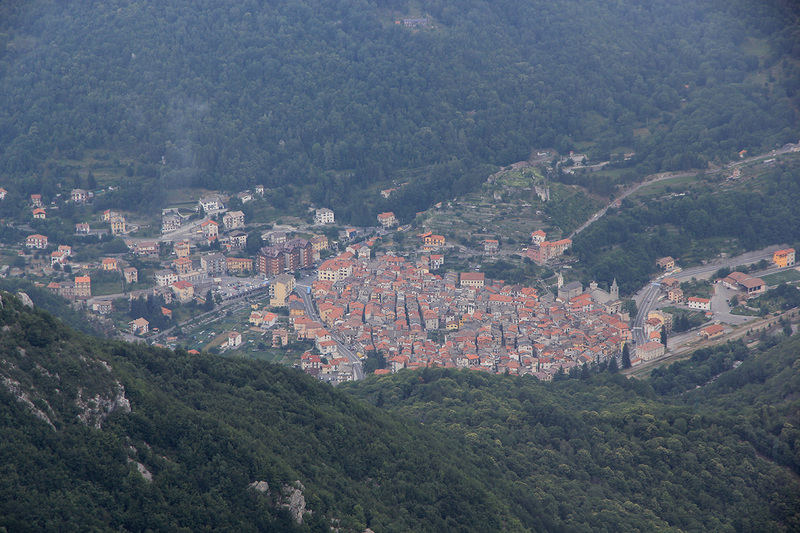 On the way back I also made the small side trip to Mont della Guardia, before returning to the car at 1535. 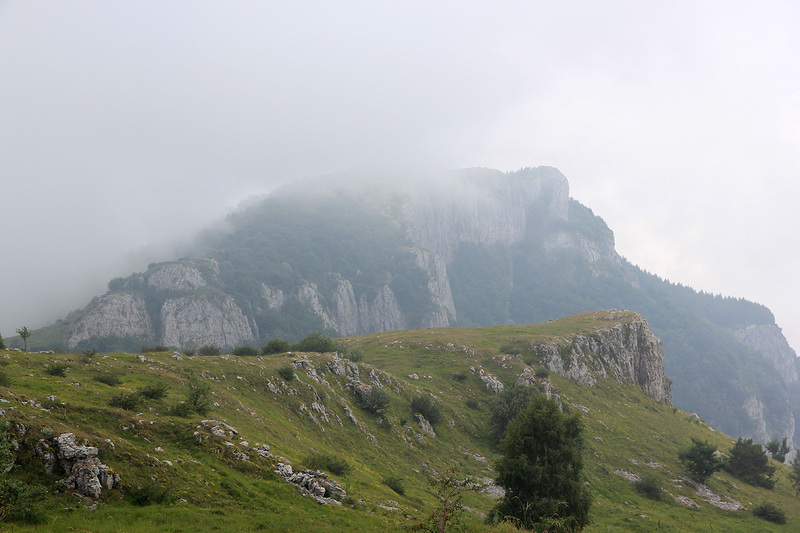 Mont della Guardia, in clouds as seen when returning from Mont Armetta.